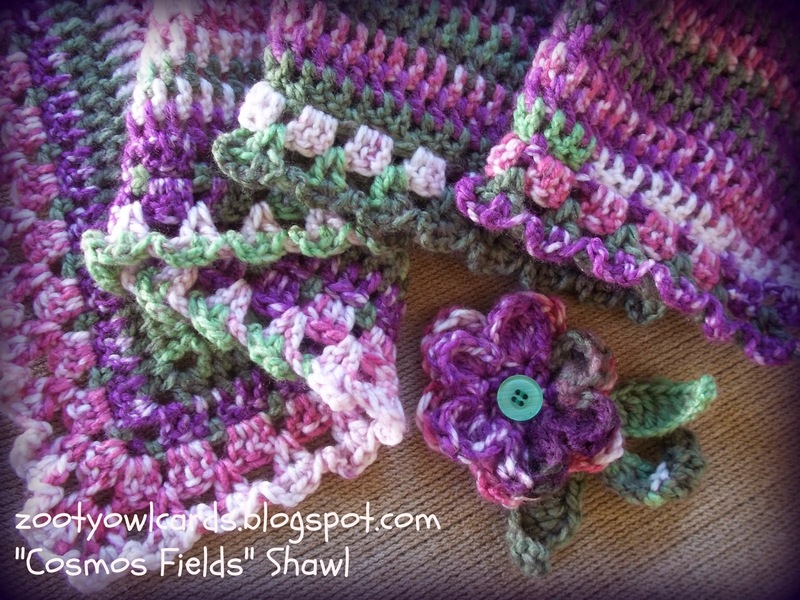 So happy I found the photos - I don't think anyone would want to wear a "Red Cabbage" Shawl!! It is winter here in South Africa and although it is still really warm here during the day I am making myself a few scarves to prepare for the cold snap! Loving the variegated yarn lately - so I ordered a random batch for inspiration. My fingers are itching to make a more solid version (like this shawl) of my Road Trip Scarf, but I am busy with a tutorial for my Dahlia Mandala (pattern to be posted very soon!!). 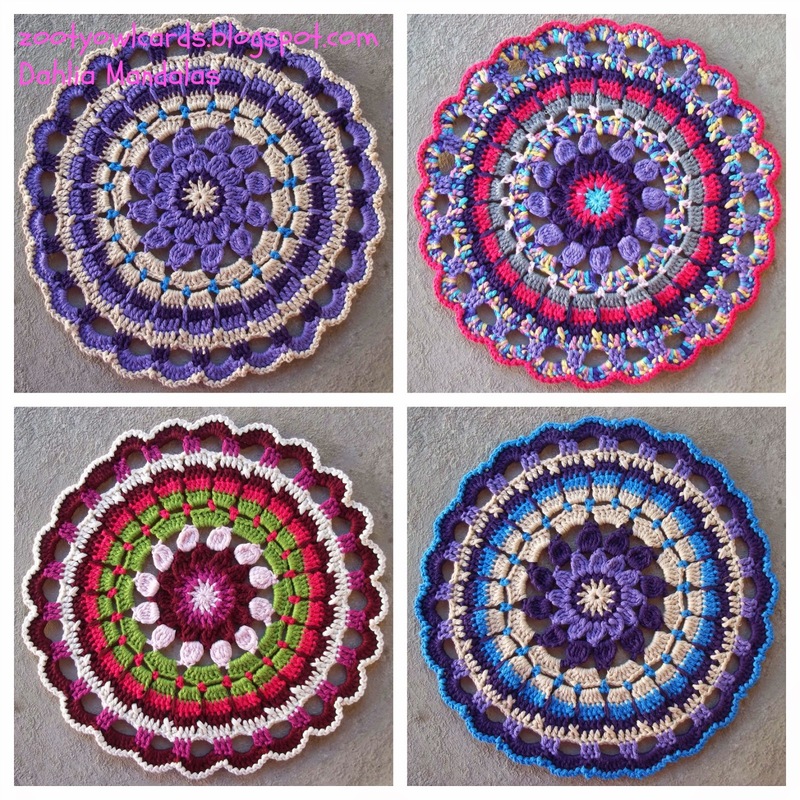 I used what was left of my first batch of Raeesah Cotton Soft to make the two pink mandalas. Now that I have finished the Raeesah I can delve into my new stash of Strawberries & Cream (50% cotton / 50% acrylic) for the tutorial. I have never used the Strawberries & Cream before - it feels very soft but looks as if it might be a bit "splitty" - will let you know how that tests out when I post my Dahlia Mandala Pattern! Have a super happy crafty Wednesday!!! Love them all! Thank you so much for your willingness to share your patterns. I get so inspired by them! Wow!! your blog is a color explosion!! I love it. I'm following your works from now. Thanks Yvonne - I did pop over to your blog and leave a comment! I could not find a photo of the flower mandala though! Please post a photo on my Zooty Owl Facebook Page - I would love to see how yours turned out! Hope you post the pattern for your Cosmos Shawl. It is FABULOUS! Love the little flower as well! I enjoy your blog so much. Thanks for sharing!!! 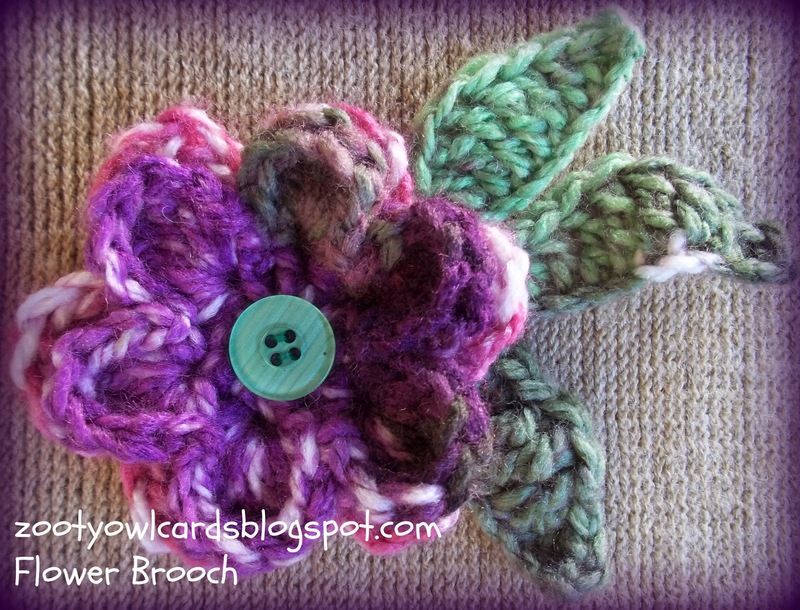 Hi Debbie - I will be doing a pattern for this, as soon as I get around to making another! Looking forward to seeing the pattern posted for the Cosmos Shawl. Thanks. 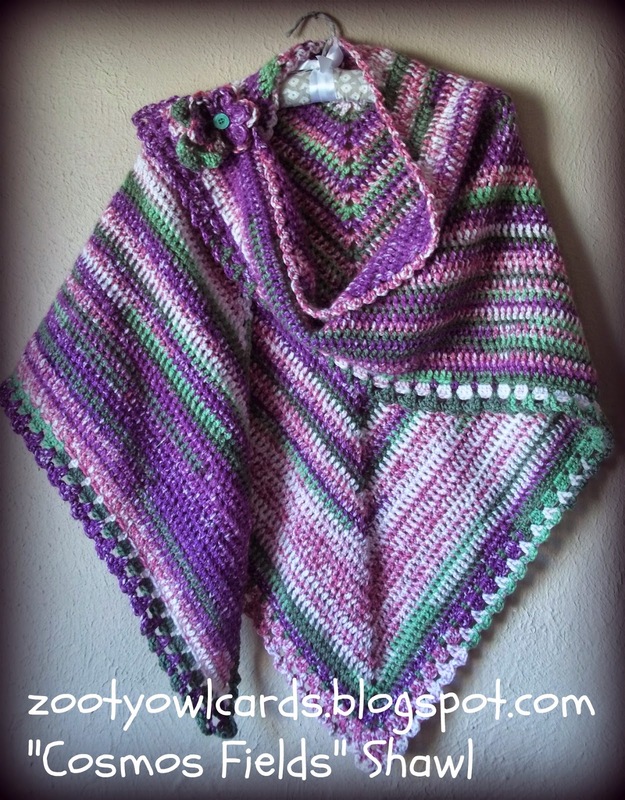 Love the Cosmos Fields Shawl! Can't wait for a pattern to be released so I can make one. I'm so looking forward to the Cosmos Fields Shawl pattern! It is beautiful! Your creativity is inspiring! Lovely.....cannot wait for the tutorial. ..thanks for Sharing your creations with us.